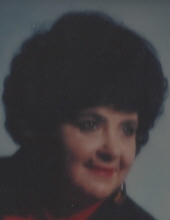 FOUNTAIN, Mary Agnes - Age 82, of Flint formerly of Grand Blanc, died Thursday January 10, 2019. Funeral services will be held 2PM Wednesday, January 16, at Sharp Funeral Home and Cremation Center, 6063 Fenton Road, Flint. Pastor David Chittenden officiating. Burial will follow in Crestwood Cemetery. Visitation will be held 11AM until time of service Wednesday. Those desiring may make contributions to the family. Mary was born March 1, 1936 in Hickman County, TN, the daughter of the late Donald Howard and Nola Myrtle (King) Hoover. She married Johnnie Lee Fountain in Chicago, IL in April of 1962 and he preceded her in death on April 14, 2008. Mary loved to clean, helping others, listening to gospel music and especially taking care of her grandchildren. Surviving are: daughter, Cynthia Lee Fountain of Flint; grandson Jonathan Issa Alsahoury of Flint; granddaughter, Angela Marie Rozell of Lapeer; brother, Robert Phillip Hoover of TN; many nieces and nephews and great-grandchildren. She was also preceded in death by her son, Jackie Dean Rozell; daughter, Tammy Michelle Alsahoury; grandson, Jackie Dean Rozell II; granddaughter, Annette Lynn Rozell; sister, Annie Ruth Brown and brother, James Howard Hoover. Tributes may be posted at of www.sharpfuneralhomes.com. To send flowers or a remembrance gift to the family of Mary Agnes Fountain, please visit our Tribute Store. "Email Address" would like to share the life celebration of Mary Agnes Fountain. Click on the "link" to go to share a favorite memory or leave a condolence message for the family.